Djinn is an experimental electronic CD by eM, nee Michael Bentley, the founder and owner of The Foundry. This collection of sounds is as about as diverse as it gets. Michael's experimental dissonance and his gentle ambience co-exist and clash and contrast and compliment. The soundscape soothes and jolts deep listeners. It is impossible to ignore this soundworld. Michael's harsh dissonance DEMANDS close scrutiny! But the gentle minimalism allows for deep introspection and a wide array of emotional responses. With all the juxtapositional characteristics, those responses cover the entire spectrum. This CD, the first Foundry release, is a very enigmatic gem from a very surreal performer. Hidden Topographies is a delightful surprise from Rhomb (Nathan Kreisberg and Michael Bentley). It comes to us from the folks at The Foundry, a label in Berkeley that specializes in experimental minimalism and electronic music. The entire CD combines drifting minimalism, dense atmospheres and experimental dissonance. Those complimentary and contrasting sounds give Hidden Topographies its charm and unique status in my library. This CD was released in 1998. It is time for Rhomb to take their place in many other collections! There have been several electronicians dabbling in e-music transcriptions of classical music. Isao Tomita, Wendy Carlos and William Orbit are the most notable but Tangerine Dream, Kevin Keller and Synergy have arranged classical music for electronic instruments. Until now, Wendy has been the only performer composing symphonic pieces for e-music. With the brilliant release of Electronica, Michael Bentley and Nathan Kreisberg have changed that. This CD, the second Foundry release, is a set of compositions by Michael (performing as Apiary, eM and himself) and Nathan. There is a track by Melec also. (That could be a pseudonym for either Michael or Nathan.) with all those aliases, this disc is disguised as a "various artist" set. The promotional material describes the CD as "an anthology of movement between the classical and the ambient." There are transcriptions of an Edvard Grieg piece and a Franz Schubert piece but the rest of the tracks are original compositions. And they are deep orchestral synthesizer pieces. Deep listeners expect avant-garde trappings from The Foundry and they get them. The classical structure is very similar to the 20th century works of Charles Ives and Dmitri Shostakovich. There is just enough dissonance to keep Michael and Nathan honest. There are plenty of deep atmospheres and synth washes to keep deep listeners interested and involved. Descent is an experimental ambient CD from The Apiary, nee Michael Bentley, owner and founder of The Foundry label. This long composition began as an accompaniment to an installation by Charles Browning titled "What are you afraid of?" The project deals with the tensions between man and nature. The structure of the album is symphonic. There are five distinct movements, three of which are subdivided into to shorter passages. The soundscapes are expansive and steeped in mysticism. They surround and invite us with experimental overtones. The invitation is to another journey to the darker realms of life. While this CD is inspired by nature, it is neither maudlin nor syrupy. It is uniquely melodic, minimal and dark. Thus has Michael accepted and met a challenge. He has created a dark mystical journey filled with expansive pastoral soundscapes! That oxymoronic coupling provides a genuinely pleasurable listening experience. Greater than Zero, Less than One is a set of extremely different avant-garde sounds from eM, nee Michael Bentley, The Foundry founder. "Digital snow is falling, melts into satellite systems, CRT screens and automated teller machines. We swim in an ocean of zeroes and ones. Walk along the edge of the sea, lift a silicon shell to your ear, and listen." That is very heady stuff and this is very heady music. all of the sounds on this CD were "discovered amongst raw data in Blabok, a MacIntosh PowerBook." It is a collection of static, clicks, pops, beeps and boops. And it has absolute musical integrity. The real story of this album is not only the music itself. It is the construction of the soundscape. There are 16 individual tracks on the disc but it is really just one long piece. Michael's patience, meticulous attention to detail and devotion to his craft make this CD a labor of love. Some will say that it is a risk. It is. But isn't love a risk? So, this labor of love is not for everyone. Those listeners willing to take a risk will love this CD! Mote is a set of solo pieces and collaborations by eM (Michael Bentley, founder of The Foundry) and Rhomb (Nathan Kreisberg and Michael Bentley). Susan Worland played the violin on one track. This CD was born from a phone message that consisted of clicks and static for about a minute. Michael used the percussive pattern as the basis for the opening tracks. he and Nathan then incorporated styles and attitudes from previous Foundry releases and created a massive minimalist soundscape. Such paradoxical and juxtapositional postures are the norm with this label. Michael nurtures this label and monitors its work to fill a particular niche in the e-music community. The experimental ambience of this set is the perfect example of that goal. The dissonance in this soundworld is subdued in favor of vast atmospheres and serene, almost pastoral, ambience. The music flows gently with almost no overt rhythm. This is a great CD and a wonderful paradox. The experimental sounds compliment the atmospheres expertly! eM is the pseudonym under which Michael Bentley, founder and owner of The Foundry label, records his experiMENTAL e-music. All the Stars Burning Bright is a glorious set of computerized space music. Michael draws inspiration from the writings of Brian Aldiss and H. P. Lovecraft. Michael also incorporates recordings from the Voyager spacecraft into his soundscape. Malcolm Bly records as Mollusk. Accretions is his debut CD. the inspiration for much of the music comes from Malcolm's study of - DUH! 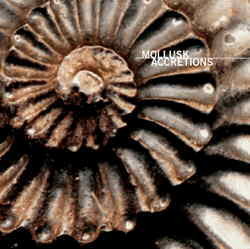 - mollusks and natural history. It was by accident that this became a CD project. Malcolm was simply exploring the realms of on-line audio and low-resolution mp3's. Michael Bentley suggested the CD project and Malcolm remastered the tracks to CD quality and the fourth Hypnos/Foundry collaboration is here. The music is very experiMENTAL. The sounds are all digital. Malcolm manipulated samples and field recordings to augment the music. The result is very cool and very soothing. This is a cool CD. Seofon is a member of Ambient Temple of Imagination, a bay area ensemble that has explored the limits and possibilities of the ritual of sound and the ambient (or chill) rooms. Zero Point: Lessons in Being Nothing, the initial Hypnos/Foundry release, is a collaboration with Seofon as the coordinator. The collaborators are Vidna Obmana, Steve Roach, Robert Rich, Stephen Kent, Thermal (an ATOI contributor) and Not Breathing. This CD is based on recycling material from ATOI's CD's. Vidna Obmana and Asmus Tietchens invented recycling, a recording process that goes deeper than simple remixing. More often than not, the result bears little or no resemblance to the original material. Each participant played a key role in the collaboration. Seofon was the center point. He coordinated the project and contributed new material and recycling. Vidna Obmana brought the recycling process and contributed his special touch. Steve translated ATOI live tracks into his own soundworlds. Robert added his electro-organic harmonics. Stephen revived his spontaneous didg discourse. Thermal and Not Breathing cast a new light on unexplored territories. In accepting the contributions of others, he realized that the totality would be greater than the sum of the parts. Seofon allowed them to carry him to the perpendicular universe. In surrendering, Seofon achieved victory. By freely giving away artistic control, he achieved the ultimate integrity. This CD is a true holistic integration of the highest order! 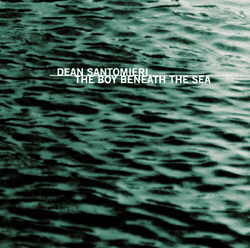 The Boy Beneath the Sea is an enigmatic ambient saga coordinated by Dean Santomieri. He narrates the story. Improvisations by Bruce Anderson (chromotone guitar), David Kwan (sampling, processing and tidal control) and Karen Stackpole (percussion and gongs) surround Dean's narration. This is an eerie and eclectic construction. The entire project borders on the avante garde and the nouveau noir. The story is interesting and offbeat. The music, while straightforward at times, benefits from David's processing and pre-mastering techniques and from Dean's direction and production control. Keeping the focus on the music is difficult. The story is very cool and Dean's narrative style is hypnotic. The music is very worthy. The experimental sounds and overt minimalism serve the story very well. It IS the background. It DEFINES the background. Thus, it is definitive ambience. It IS possible to play this CD as a pure background. To do so would be to miss the story. This is a cool experience. It demands total attention! This compilation has as its center point a story fragment, a series of episodes taking the listener through an enigmatic arc, an arc becoming a circle, an arc of 360�. Tracks draw on a variety of electronic music flavours, from ambient electronica to microsound and glitch. Contributors to 360� are, in order of appearance: Rhomb (releases on The Foundry and Archipelago imprint), eM (releases on The Foundry, Archipelago and Fallt), Jonathan Hughes (formerly Subspace with release on Sunburst Fifty), High Skies (Mat Jarvis, formerly Gas on Emit), Mark Van Hoen with Seofon (Mark Van Hoen has released work as Locust and under his own name on Touch and Apollo; Seofon is a member of Ambient Temple of Imagination as well as a solo artist), Sketch (releases on Apollo and on End of Hum), Thermal (releases on his own Boxman label and Archipelago imprint), and Kim Cascone (releases on Ritornell and Digital Narcis among many others). Quite a range of talented artists all contributing tracks recorded specially for this compilation! Jonathan has released a handful of CDs under the pseudonym Subspace, including the inventive two disc set Fluid and the wonderful faux soundtrack Low Frequency Oscillator. Additionally Jonathan collaborated with Mollusk on four tracks (one of which is available on Mollusk's Foundry release Accretions), but here Mr. Hughes makes his first solo appearance for The Foundry. The pieces on this album, all experiments with the 3/4 time signature, bring together different sound sources and styles into a unique and compelling collection of ambient pulses and dreaming washes. A two disc compilation giving a glimpse into both the past and present activities of The Foundry. The first CD (Lost) gathers some of the highlights from the Foundry's pre-Hypnos releases, including a specially re-recorded version of Above the Earth, to produce a disc of introspective ambient styles. Disc two (Found, which contains five tracks drawn from discs co-released with Hypnos and seven non-album, preview and unreleased tracks) provides an unique insight into the state of The Foundry today. Reviews of the releases above are forthcoming and we here at Ambient Visions would invite you to stop back and check out our reviews pages on a regular basis. Read more about the great music that is being hammered out in the Foundry from a fine group of dedicated musicians. Until then be sure to stop by The Foundry website to keep up with the latest release news and to learn more about those who are behind the music. Thanks for stopping by and we invite you to explore the rest of Ambient Visions while you are here. 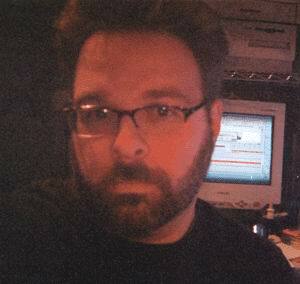 The Foundry was founded in 1997 by Michael Bentley. Located in Berkley, the label features Bay Area artists performing experimental e-music. The primary artists are eM, Seofon, Rhomb, The Apiary, Mollusk and Dean Santomieri. And most of these artists are members of The Archipelago, a loose consortium of like-minded musicians from the area. The label entered into a partnership with Hypnos in 2001. That joint effort enhances the scopes of both labels. The relationship allows Hypnos to venture into more experimental avant-garde and it allows The Foundry access to greater marketing clout. Michael Bentley, the driving force behind The Foundry, has recorded some of the label's most eclectic and most accessible electronica. AV: First of all, thanks for agreeing to this feature. I am honored to work with you. I should say play because this is fun! MB: Yes, I regard music (and all my creative efforts) as play... hard work sometimes too, but play! AV: Something I have always wondered about, how did you name the label? And how do you come up with the titles for your albums and compositions? MB: The label name popped up in 1984 or 1985. I was putting together some portfolio pieces in an attempt to get some better design jobs, and one of the pieces was a catalogue for a fictitious music label. The Foundry was originally one of the band names I made up, but it evolved into the label name (and included the motto "where we build our world," originally an album title). The Foundry really came to life in the late '80s, I used The Foundry as a name under which to publish my chapbooks and other projects, and then in 1995 I put out my first cassette release and The Foundry became a recording label for real. After a few more cassettes in 1996, the first Foundry CDs were issued in late 1997. As for titling... that's tricky. In the days before I actually had finished pieces I had no shortage of titles, but now that there are actually things to name, good titles can be thin on the ground! Mostly the pieces present their name to me somewhere along the way, sometimes at the beginning of the process, sometimes at the end. Because I tend to begin with a concept (at least a loose one), I usually have naming ideas going in. Of course the best titles just appear as if by magic and I have no idea of where they come from! MB: This is kind of tedious stuff. I talked with some different folks, and did a little research. I'd been around retail all my "working" life, as well as having more than a passing interest in the music business for many years, so that helped. I charted out how I'd like things to go and figured out whether I could afford to proceed. It took a lot of time and energy to find production and media contacts and so forth. In the end my plan wasn't really very accurate, and I've been flying by the seat of my pants ever since. Running The Foundry takes an incredible amount of time and energy, probably more than I anticipated, and the financial side is, shall we say, problematic.I love the creative work involved, both on my own and in collaboration with the amazing artists I've met, but the business side can be quite a headache and is something I do only because it's necessary to allow the creative work to happen. I don't predict sales, I do the music I want to do. In putting out other people's music I choose projects I like... it's as simple as that. Will the CDs sell? I have no idea, but what I do know is that they're quality work and I like them...that's really all I can do! BTW, e-music has a small market share EVERWHERE, as far as I can tell! AV: What was your goal in starting the Foundry? MB: Short term: to put out my own music. AV: How do you think that the partnership with Hypnos will help to achieve that? Or has the partnership changed the goal? MB: My goals are the same, I think, though more artists are involved now. Put simply, working with Mike Griffin and Hypnos allows me to reach a somewhat larger audience, it effectively puts The Foundry on the map for folks who had not and would not have heard of The Foundry otherwise. It has also helped my distribution. I think that The Foundry's work compliments what Hypnos does, but also touches on some different aspects of electronic music, other flavours and styles. Seems like an interesting partnership to me. My association with Mike began long before our cooperative release project took shape. Mike has been very helpful and friendly since we met soon after I began putting out CDs. We have exchanged information and ideas over the years, and beyond that I have really enjoyed watching Hypnos blossom and grow. AV: Which is your favorite Foundry CD (not by Michael Bentley)? Which of your CD's is your favorite? MB: Well, either Zero Point or Boy Beneath the Sea...those are the only two I'm not involved in!Truthfully though I cannot pick a favourite, I don't put out music I don't like, and I like A WIDE variety of music. So, depending on my mood I might want to lay back and take in Dean's story/music, or chill with the textures and explorations of Seofon's masterpiece. I'm also VERY fond of the Archipelago 3" CDs we put out in 2000... a very cool assortment of styles and work. Of course lately I've been wrapped up in 360� and I'm truly in awe of the quality of the work submitted for that project. Jonathan Hughes has also produced a great album (Trillium) which will be released this spring, and I've been enjoying that one this last week or two. Have I danced long enough?! No, it's really impossible to choose one! As for my own CDs... I don't spend too much time listening to my own work after it's finished... the process is my favourite part. I suppose that Mote and All the Stars Burning Bright have aged the best for me. AV: Who are your strongest musical influences? MB: Like it or not I'm influenced by anything I've ever listened to... I just absorb sounds and have my whole life. That makes this kind of question hard to answer. The musicians and composers I've been consciously fascinated with are, beginning WAY back, The Beatles, Henry Mancini, King Crimson (first incarnation), David Sylvian, Miles Davis, Kraftwerk, and more recently Aphex Twin and Mika Vanio. There are tons of others that are favourites and have provided inspiration over the years, too many to list here. Malcolm Cecil taught an electronic music workshop I attended early on in my music making years and his creative spirit was very inspiring to be around. I give him a lot of credit for encouraging a na�ve teenager, and making me think that doing electronic music would be a cool (and possible) thing to pursue! AV: How do you 'compose' music? MB: There's no one method beyond sitting down with some music making devices, whether a drum, a keyboard or a computer. A lot of what I do evolves from improvisation of some sort, or from play with software. Some projects have been more conceptually driven and others have involved "automatic" methods like numerically based scoring. I try a lot of different things, but it all begins with sitting down and working. AV: When you want to relax or zone out, what do you listen to? What is your top ten (not necessarily in order)? MB: I have rather eclectic tastes, so there's no way to answer that concisely (or maybe not at all!). I listen to rock/pop, jazz, ethnic/world, classical and, of course, electronic music depending on my mood. An evening (when I'm not working on my own music) might include the latest Morr release, Martin Carthy, Tin Hat Trio and Secret Museum of Mankind. The next night could be Herbie Hancock, early music from Atrium Musicae de Madrid, and Coil. It changes a lot. In terms of relaxing my wife and I have a few sleep time favourites of late... KLF's Chill Out, David Darling's Cello, Susumu Yokota's Sakura, and Montgolfier Brothers' Seventeen Stars. I also enjoy Detroit Escalator Co's Soundtrack 303 and Miles Davis' Sketches of Spain for relaxation. AV: Is there anything else that you would like to share with your listeners/our readers? MB: Feedback is really appreciated. I regard music as communication, and I encourage listeners to participate in this communication. Write a short note, share your thoughts. AV: Again, thank you so much for taking the time to help us with this. It has been most enjoyable and enlightening. MB: You're very welcome, and thanks for offering me the chance to talk a little about what I do, I really appreciate your time and energy! Thanks to you all for reading this! 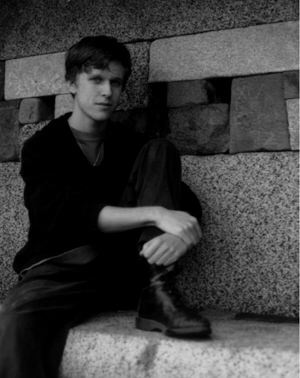 Malcolm Bly records as Mollusk. 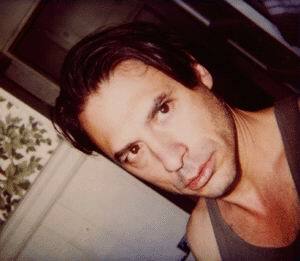 He came out of nowhere in 2001 with Accretions, his debut CD and one of the first Foundry/Hypnos releases. OK, ya' got me... most of your questions can be answered by one simple statement: Malcolm Bly/Mollusk is really Michael Bentley. AV: How do you generally create/compose music? How do you come up with the track/album titles? 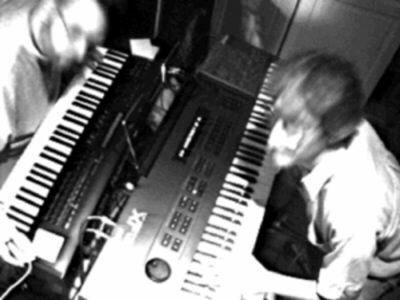 MB: Mollusk originated from a desire to explore the possibilities of online audio and different approaches to producing music for the internet. I became interested in the possibilities of web music through work in web design. The music of Mollusk was first created entirely through digital means, including sampling and sundry DSP applications, nothing unusual there. The experiment came with the process of encoding MP3s, where I chose lower kbps rates in order to create a "low resolution" sound. You see, It seemed to me that the medium of the MP3 needed to be played with, explored for its own abilities, not simply used as a means to poorly represent higher quality sounds. This thought led me to incorporate low resolution MP3 audio output into my compositional approach. For mollusk.net the final form of these pieces was not a CD or a 16-bit/44.1kHz sound file, but a stereo MP3 file. Besides creating what I think of as "the Mollusk sound," working with low kbps rates means that the resulting MP3s were smaller than those produced at the more common 128kbps, 160kbps, or 192kbps, for instance the 20 minute Ancient Seas became a meager 4.6MB, as opposed to the nearly 20MB one might expect, and this means shorter download times, which makes the music more accessible for those of us not on fast connections. As I wrote on the Mollusk website, "I am trying to play to some of the strengths of the technology that's out there, while also creating music worth listening to. Mollusk is a site which does not depend on super fast connections, but does provide, hopefully, interesting content. I am constantly surprised how may sites try to use all the bells and whistles that are out there, knowing that these gimmicks make downloading incredibly tedious, if not impossible, for a large number of users. I have tried not to fall into this trap!" I was very much inspired by my reading about the oceans and particularly the amazing mollusks&ldots; and many tracks reflect that in their titles (Littoral, Hadal, and The Cry of the Distant Nautilus). I also used some samples of pieces with oceanic associates. The Sea, for instance, uses a loop created from a short passage at the beginning of Debussy's La Mer. Each piece in the Barnacle series is based solely on a sea themed recording. Others, like the six part Evolution of the Snail's Brain, are based on ideas I ran across in my reading. I never intended to release the Mollusk material on CD, but the recordings really grew on me and I was encouraged by friends to assemble an album from what I had posted to the website. Producing Accretions was a rather different experience than working towards low res MP3s, but it was quite rewarding and gave the pieces another life. AV: How do you follow the intriguing soundworld that is Accretions? What is on the horizon for Mollusk? The techniques and concepts that I picked up through the Mollusk experiment have been incorporated into the bag of tricks that I continue to develop. There will be no other material produced as Malcolm Bly. The last Mollusk tracks will appear on the upcoming Foundry compilation titled Lost + Found, including Argonautica: Four (a collaboration with Jonathan Hughes) and Farewell to the Deep (a remix and elaboration on some of Dean Santomieri's musical material from The Boy Beneath the Sea). AV: Thanks for taking the time to answer these Q's, Malcolm. It has been a real pleasure. MB: The pleasure is mine, thank you! Seofon is a veteran electronician. He and Richard Sun released five CD's as Ambient Temple of Imagination. Seofon has also released a collaboration with Thermal, nee Joshua Maremont, a 3" CD for the Archipelago and a solo CD as the initial Foundry/Hypnos effort. Seofon: The word 'seofon' is simply an archaic form of the word for the number seven. Seven is important in esoteric studies as the "number of magic," but it also has seemed to follow me around for a lot of my life, in numerology for example. I also like it because it's pleasingly ambiguous, and doesn't make me feel constrained into a particular genre or sound. What is your favorite Foundry CD not by Seofon? Which of your own CD's is your favorite (including non-Foundry)? Seofon: This is difficult for me to evaluate, because so much of my work has been highly collaborative - with Ambient Temple of Imagination, Thermal, Content Provider, Property of Thieves, and all of the artists on Zero Point- and I like all of the results in different ways. If I may reframe the question a bit, I'll say that the most important album for me in terms of growing as an artist was ATOI's Planetary House Nation. I am the most satisfied with Zero Point, but so much of that has to be chalked up to the high level of everyone else involved - I don't feel that I can take credit for it. 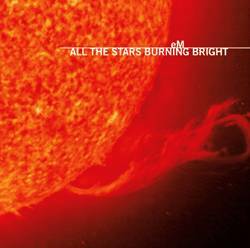 My favorite other Foundry CD is eM's All the Stars Burning Bright. I like the fusion of warm, old-school space music and refined, modern ambient, and the movement within the individual pieces is really excellent. AV: Who was your biggest musical influence? What are you listening to most these days? What is your top ten of all time (not necessarily in order)? Seofon: Well, it's hard for me to think of something that I've listened to that hasn't influenced me in one way or another, in that it all turns me on to new ways to "break the rules." If I have to name some one, I'll name Paul Sch�tze - for his impressive range, creative hybridization, and penchant for the non-obvious. But Locust, Aphex Twin, and Brian Eno are close contenders. AV: How do you create/compose your music? How do you come up with the titles for the individual pieces? For the albums? Seofon: The answer to all of these questions is "I really have no idea." Most of my composition comes about through improvisation, which I then process and refine until it has a quality of completion. When and how that is going to be achieved, though, I never know in advance. As for titles, Richard Sun came up with the titles for all of the Ambient Temple of Imagination material, including most of Zero Point, and they refer to philosophical ideas that we feel are influential, important, or relevant. 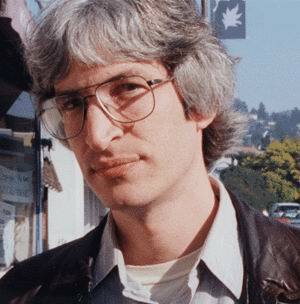 Most of titles in my solo work are plagiarized (with consent) from esoteric science fiction author A. A. Attanasio. And sometimes an element occurs in the initial improvisation that goes on to define the entire piece. AV: Zero Point is, for me, the ultimate collaboration. That had to be a lot of fun to make. I know that they are all gentlemen. What was it like working with Steve, Dirk and Robert? And how did adding Stephen, Not Breathing and Thermal to the mix enhance the experience? What did you pick up from the experience? And, how do you follow that greatness? In other words, what is on the horizon for Seofon? Are there more ATOI projects? Seofon: The perpetuation of ATOI is always contingent on the enthusiasm and innovation of the participants - which means that it always hangs on the edge of a knife. But it is so amazing and improbable that is has lasted this long, so I trust that there is more to come! As for me in particular, I am pursuing a variety of projects, and we'll see which ones catch on. I just finished a full-length with Content Provider, and we plan to go into the studio again very soon. As for Zero Point, it is a testament and tribute to the generosity of all of those gentlemen. They are so supportive, open, and nurturing of the creative process. Dirk, Steve, and Richard are in fact the ones who initiated the project, and to work with men of such integrity was a real gift and inspiration. And for me as a young artist to receive that kind of attention from such honored elders is truly validating, yet at the same time humbling. Adding Stephen and Thermal was a natural extension, as they both participated in Planetary House Nation, which was the seed for Zero Point. With Robert and Not Breathing, the key was their simple but profound generosity to create the space to jump in and contribute to the process, giving me the trust that it would turn out to be something worthwhile. Admittedly, a large share of my work with Zero Point was just in organization and orchestration, and patiently letting the whole thing evolve - and so a lot of my learning came from finding that balance. In addition, the shared workload of the production allowed me to spend a lot of time stepping back and looking at the project as a whole, exploring ways to make it a unified album (rather than a remix collection). I see Zero Point as a one-of-a-kind thing, and so a narrow attempt to follow it up is doomed from the start. But I certainly hope to continue the friendship with those gentlemen, as well as to integrate what I'm learning with my other projects. AV: Is there anything else that you'd like to share with your listeners/our readers? Seofon: I'd like to encourage everyone to explore sharing their gifts, whatever they may be, openly. With all of the strange social and economic pressures that we face, this can be a tricky stance to find. It takes patience, persistence, trust, and most of all selflessness. But if you are willing to cultivate the things in your life that give you a tangible experience of such lessons in being nothing, the rewards will be great! AV: Very cool! Again, thanks so much for helping with this feature. It has been one of the highlights of my brief literary career! AV: What is your favorite Foundry CD, not by Dean Santomieri? Which of your own CD's is your favorite? DS: I enjoy them all but probably Mollusk. It's so idiosyncratic, almost organic; something like a sonic aquarium. AV: Who was your biggest musical influence? DS: There are so many. Here are a few: Stockhausen, Terry Riley, Tod Dokstater's records made me buy 2 tape recorders in 1972 and start making musique concrete, Luc Ferrari, Pierre Henry, Morton Feldman (he came to SUNY @ Buffalo my last year there), Xenakis, Hollis Frampton (filmmaker/teacher @SUNY), 60's guitarists, Bernard Herrmann, 60's FM djs who mixed multiple turntables live on the radio, Firesign Theater. AV: When you are relaxing, what do you listen to? AV: What are your top 10 albums of all time, not necessarily in order? DS: I'm not much of a list-maker so I know I'm leaving out something really important. AV: TBBTS obviously had somewhat of a script, but how do you generally create/compose music? How do you come up with the track/album titles? DS: A lot of my writing comes from my dreams: either speaking voices or images. The sound-collage pieces start as ordinary field recordings and then become poetic or dream-like. The electronic pieces start as studies. Titles come from my dreams, puns(although I prefer not to use them) or the music suggests it's own title. Rite of Springs (apologies to Strravinsky), was only a working title which I never intended to use, but I never came up with a more appropriate one. Crude Rotation comes from a poem by Laura Riding called: By crude rotation. AV: What inspired you to create a soundscape featuring The Boy Beneath the Sea? DS: The spoken word records and radio drama of my childhood. As a musician and a film/video maker, I was frustrated trying to bring the two disciplines together. Working with Donkey Boy, an electro-acoustic duo, also featuring Luther Bradfute, in which we combined music and video with story-telling, I moved away from the idea of narrative filmmaking, and back to an idea more like radio drama, only presented live, with a visual element that was suggestive rather than a literal illustration of the story/text. The music on TBBTS, was composed/improvised by David Kwan, Bruce Anderson and Karen Stackpole. I asked those three musicians to play on it, I gave them suggestions, and I mixed the music & voice with DK's help, but beyond that it's their music and it is far better than I ever hoped it would be. AV: And how do you follow that intriguing soundworld? DS: There is a play for voices that pre-dates the 'boy' which I hope to produce this year. There are also shorter narrative pieces, including a trilogy of humorous/thought provoking short pieces loosely based ( I should say tenuously), on the Old Testament, two of which I have already performed solo with music and video. AV: What is on the horizon for Dean Santomieri? DS: I will make more sound-collages; more text-based pieces, and continue working (at least in live performance) in 4-channel sound. DS: Thanks to Michael Bentley, Mike Griffin and Bruce, David and Karen. AV: Thanks for taking the time to answer these Q's, Dean. It has been a real pleasure. DS: Thank you Jim; the world needs more sensitive, intelligent reviewers like yourself- after all who's going to listen to all this damn music. Keep up the good work. AV: When you are relaxing, what do you listen to? What is your top ten of all time (not necessarily in order)? NK: When I want to relax I usually turn to the radio. There usually is something different to be heard on the left end of the dial. I still find classical music, especially chamber form, to be the most relaxing. As for a top ten list, I've never been a fan of such things but I can give a list of some of the albums that spring to mind that I have listened to repeatedly and in depth over the years: 'X' - Klaus Schulze, 'Passion' - Peter Gabriel, 'My Life in the Bush of Ghosts' - Brian Eno and David Byrne, 'Red Shoes' - Kate Bush, 'Harmonic Ascendant' - Robert Schroeder, 'Heaven and Hell' - Vangelis, 'Chronos' - Michael Stearns, 'Thraak' - King Crimson , 'Trans Europe Express' - Kraftwerk, 'Remain in Light' - Talking Heads/Brian Eno. NK: I would have to say the biggest influence on my music would go to my sole piano teacher of many years, Margaret Goard. She instilled in me an appreciation of lyrical music as represented by the late 19th century composers such as Chopin and Brahms that shapes a lot of what I bring to Rhomb. This nicely complements Michael's penchant for the more daring and experimental so that when we get together to make music there is at once a tension and meshing of styles/approaches to making music. The next biggest influence (aside from my Mother making me stick with the classical piano!) would have to go to Mister Foundry himself. Afterall, it was Michael who first introduced me to electronic music with the likes of Schulze, Jarre, Kraftwerk, Vangelis back in High School when we first met. At the time, I was only interested in the classics and was completely unaware of this emerging music. Since I was already into electronics and science fiction films, however, I was ripe for e-music and took to it like fish to water. One of the more influential events for the two of us was getting to study electronic music with Malcolm Cecile at Cazadero music camp. I remember coming back from that camp totally energized and commited to exploring electronic music. And that was the beginning of a long and musical relationship that extends to this day. AV: What is your favorite Foundry CD not by Rhomb? Which of your own CD's is your favorite (including non-Foundry)? NK: I am going to cheat on this question and say Mote for both. I think it represents some of Michael's best solo work (eM) and it also has some of the best of our (Rhomb's) collaborative work. Moreover, it hangs together and acheives what we have attempted with less success in previous efforts. Namely, to bring a wide span of musical ideas to a single album that requires of the listener to effectively take a musical journey across (electronic) genres. Its an approach, I think, which tends to go against the more traditional ambient grain of continuity of style. NK: Rhomb is very much a collaborative effort so that pieces that end up with that moniker will have come from a range of joint efforts. Sometimes this process is very linear, with tracks systematically laid down often starting with a percussion/glitch track. A lot of 'Hidden Topographies' was constructed this way. Another common approach just involves jamming without any preconceptions about the end result and seeing what happens. Often a portion of this musical stream of consciousness will produce some very exciting musical content that can be expanded or added to. Titles are always a problem for us. I am happy to just number tracks and let the music speak for itself but if a particular piece evokes a distinct image then a title usually follows. Otherwise, I leave it to Michael who is the more literate of the duo! As for album titles, Michael often has a working title that often sticks. One exception, is Eclectronica - a play on the eclectic nature of the compilation-which I thought up. It was inspired by a radio show I used to listen to in Austin called Eclecticos. But this title has turned out to be problematic since it perennially gets the first 'c' dropped when it appears in print. AV: What is on the horizon for Nathan Kreisberg? NK: Michael is finishing a new compilation (Lost and Found) that involves re-releasing some Rhomb material. We always wanted to re-record one our favorite efforts in the form of a piece called Above the Earth from our first album. So we revisited this early work to see if we could more fully realize it. As for new work, Michael and I plan to go into the studio soon but as usual with nothing concrete in mind. Will see what happens. NK: I'd like to thank people who have made the effort to appreciate alternative music like Rhomb and other Foundry releases. Being not easily classified, I think this music requires just a little more effort to 'get' but I hope the effort is worth it. But if after a few listenings you still don't like it, pass it along to a friend or recycle the disk and move on. There is a limit-less variety of good music being made. Something for everyone to be sure. AV: Thanks for taking the time to answer these Q's, Nathan. It has been a real pleasure. NK: Thank you for the opportunity to reveal some of the inner workings of The Foundry.